Facts about 10 Wood Species | What Are Wood Lockers Made of? What are wood lockers made of? Well, wood, of course, but what kind of wood? Legacy Lockers has a broad selection of wooden lockers to go with any type of décor or sensibility. Here are some interesting facts about some of the wood used in the luxury lockers offered by Legacy Lockers. Have you heard of the alder tree? It’s actually a member of the birch family. The softest of all the hardwoods, alder wood is a light brown color with subtler and straighter grain patterns than patterns in other hardwoods. It’s very versatile and used for making furniture, cabinetry and other woodworking projects, such as picture frames. The tree belongs to the olive family, and the wood of an ash tree is light colored. Depending on what part of the tree is used, it ranges from almost white to light brown or greyish, and it generally has a straight-grained, coarse but uniform texture. In fact, cherry is considered the most prized hardwood in America. One surprising thing about it is that natural cherry wood starts out fairly light and darkens over time. It’s straight-grained and coarse-textured with a color that ranges from tan to brownish red. Interestingly, sometimes pecan wood is sold as hickory. It gets its name from the small, tight knots prevalent throughout the wood, which gives it a rustic look. It’s very stable and durable with a fine, even texture and straight grain. It’s one of the top cabinet woods in the world, and one of the most valuable timbers in Africa. This beautiful wood is known for its straight to interlocked grain and its medium coarse texture. While with most hardwoods the heartwood of the tree is used, the sapwood of the maple is more commonly used. This sapwood is light colored, going from almost white to a creamier off white, and sometimes has a reddish or golden hue. It has a fine grain, which is generally straight but can be almost wavy. Its durability has been known for centuries; in fact, Viking longboats were often made of oak. Unless you specify white oak, you’re probably talking about red oak, which is among the most popular hardwoods in America. It’s light to medium brown and, as you’d expect, has a reddish cast. Along with mahogany and cherry, this beautiful wood set the standard for early American furniture. Walnut trees are superior lumber producers, but because of over-harvesting, availability has become somewhat limited. This brown or chocolate colored wood with its fine texture and open grain is highly sought after because it’s easy to work. It’s more durable than red oak and is attractive with a straight, coarse grain and a pleasant smell. It’s widely used to make furniture and cabinetry because it’s easy to work and economical. No matter what kind of wood you prefer, Legacy Lockers can create the locker room you want, with luxury lockers to offer the kind of ambiance that your clientele deserves. Having created beautiful wooden lockers for decades, Legacy Lockers continues to impress customers with not only our craftsmanship but also our outstanding customer service. 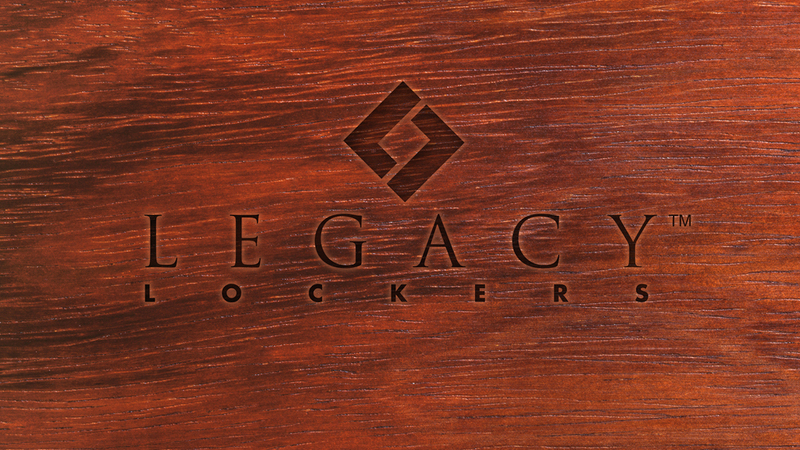 To find out more about Legacy Lockers, connect with our online community by liking us on Facebook or following us on Twitter requesting a free estimate to learn what Legacy Lockers can do for you.